Tekken Mobile soft-launched in Canada back in August of 2017. Sadly, those of us who do not live in Canada have only been able to pre-register for the mobile fighting game adaptation in eager anticipation of its worldwide launch. Suffice it to say, I got tired of waiting. So here is a hands-on with Tekken Mobile, so you will know exactly what to expect when it finally launches for the rest of the world. I would like to briefly mention that Tekken Mobile is a soft-launch title. Due to its unavailability in my region, I have sideloaded the APK (version 0.7.2) in order to test the gameplay. There may be a few adjustments made to the game before it officially launches, so please take that into consideration when reading this hands-on. To no one's surprise, Tekken Mobile exists as a free-to-play title from Bandai Namco that includes plenty of in-app purchases that range all the way up to $99.99 per item. But that's only half the problem with this game. Almost all of its characters are locked when you begin. Yep, this is a fighting game that starts with only one selectable character. You will have to grind your way to unlocking each and every other character you wish to use. But that's not all. You also have to grind to unlock their skills, their equipment, and their special moves. All at the behest of the RNG gods. So of course, the fact that all of these separate items will also need to be micromanaged individually for each character you use just goes to show how ridiculous the core design of this game is. And the best part is you will need at least 3 different characters to be properly setup in order to be competitive thanks to how most battles require a team of 3. Talk about a needless time sink. Once you are in a fight, the first irritation designed to push you towards spending your money on the game's many loot boxes and in-game currencies is the fact that your characters do not heal after a fight is finished. Your team will inevitably have their health whittled down with each successive battle. In the Story Mode, this issue is made even worse, as you have to plow through quite a few fights in a row to finish each chapter. In between rounds you have the option to use healing and revival potions, which can, of course, be purchased with the game's in-game currency of gems, that can be conveniently purchased with real money through IAPs. The cherry on top is that your character's health will not replenish after you finish a chapter either. This means you are always on the hook for the health of every single fighter you use, every time you use them. And with how poorly the game is balanced, you can bet you will be spending quite a bit of time dealing with the constant healing and revival of your fighters. Now, when it comes to the actual fighting mechanics in Tekken Mobile, it's clearly a tapping-based affair that uses cards (of course it uses cards, this an FTP mobile game after all) for your more powerful moves. You can tap and hold on the left side of the screen to move backwards or block, and tapping on the right side of the screen pulls off any number of regular punching, kicking, or jumping moves (none of which you have control over and are totally dependent on the distance between your character and whom they are fighting). The 3 special move cards at the bottom right of the screen can be tapped at any time, but as you use them, there are countdown timers keeping you from frequent use. For the most part, the fighting is timing-based, and it doesn't take long to get the hang of these simplistic controls. Of course, when you take into consideration the massive amount of overly complex systems and subsystems you have to dive into to upgrade and improve your characters, it becomes quite clear that your fighting skills are not really a prerequisite for success. Whoever owns more rare and powerful characters and items will almost always do better than someone who doesn't, no matter their fighting skills. So if you plan on playing competitively, you also better plan on spending quite a lot of money. Which brings me to the meat of the game, the Dojo Challenge - Online Versus Battles mode. The first thing to point out here is that you are not actually playing against anyone else in a live 1 on 1 setting. You will be playing against CPU controlled representations of other player's fighting teams. And I have to say, nothing irks me more than a game that tries to disguise its single player content as some kind of online versus mode. The fact that Tekken Mobile's gameplay takes place online due to it existing as a server-based game does not excuse the false representation of calling these CPU controlled fights "Online Versus Battles." So now that we see that the online mode is a wash, the last mode to consider is the Live Events section. Here you will compete against some strong opponents for any number of higher quality prizes. But don't expect to be able to compete in the boss fights in this mode adequately for quite some time, as every single Live Event boss battle I tried, the CPU wiped the floor with my character. I suppose the boss fights may be considered late game content, but why is it available to newcomers when there is no clear path to victory? Oh, and if all of these issues aren't enough to convince you that this is the laziest cash grab on the Play Store to date, look no further than the horrible loading times and the unresponsiveness they cause. If you want to open a free loot crate, well, you better get used to tapping on the open button endlessly before something actually happens. Just about every menu and button in the game has a super slow response time that it is often difficult to parse whether the game is accepting your commands or flat out ignoring them. This is only exacerbated by the numerous menus and buttons you have to deal with as you set up your characters, their skills, their equipment, and their special moves. So yeah, I hate to say it, but Tekken Mobile in its current state is just flat out bad. Not only does it take advantage of the worst RNG mechanics found in the laziest FTP games on the Play Store, it somehow found a way to push these skeevy mechanics even further with the addition of having to constantly heal your fighters in a freaking fighting game. It's honestly no surprise to see that Tekken Mobile has been stuck as a soft-launch title in Canada for the last 6 months. 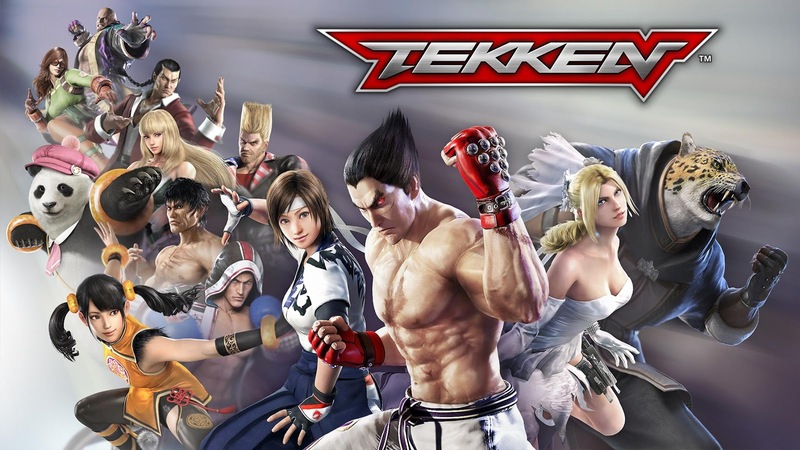 While I can't fault Bandai Namco for going the FTP route with their highly popular Tekken franchise, I think it is safe to say that the sheer greed and incompetence of the team behind this title is most definitely the lowliest of low points for the company and any fan of the series.